This product comes with a doubled ended brush with a wand at one end for brushing the hair into place and a fine angle brush at the other for applying product to brows and eyelines. Define, highlight, colour and recreate those EYEBROWS!!! NAS Cosmetics’ Pencil-in-a-Pot is a waterproof, smudge-free creamy formula that is an all in one brow product designed to sculpt and define the brows. Staying put on the brow hair for optimal definition, it colours and glides on effortlessly …. the best product in the brow game. Struggling to find the time to get your regrowth covered? Use PIP as a temporary touch up for your hairline regrowth! With our customer in mind, this NAS product will SAVE you money! Versatility PLUS! Scultp & define brows, use as Eyeliner and even touches up hairline re-growth. Caramel – With a hint of strawberry, Carmel is the lightest colour in the range, fabulous for blondes and strawberry blondes. Latte – A neutral colour perfect for light complexions and brows. Chocolate – a deeper colour with a hint of auburn to keep it warm. 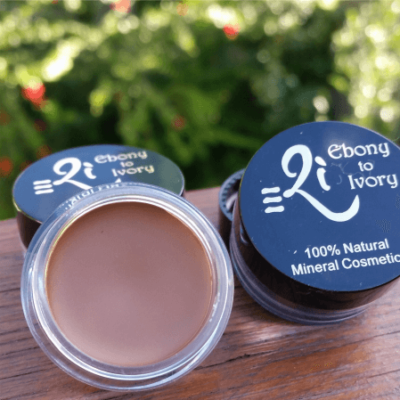 Black – Ideal for Smokey Eye Eyeliner! OMG Pencil in a Pot is AWESOME ! Add the finishing touch to a quick makeup routine that gives a stunning effect. Use for both eyebrows and eyeliner – 1 very happy customer !! I agree Canice, it finishes off your make-up and with WOW brows, they really frame your eyes and face amazingly. Sensational staying power too!! I love Pencil In A Pot it’s fantastic. My eyebrows are light and thin, due to over plucking them when I was a teenager. Now with Pencil In A Pot it makes a huge difference and my eyes pop out and give shape to my face. So easy to use and I also use it as an eyeliner. I love, love, love this product. Not only is it very easy to use, it finishes of my makeup just right and fills in my thinning brows. Lasts very very well, even if the weather is humid or going swimming.